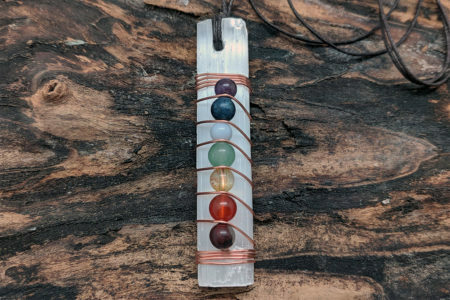 An incredible pendant made with the foundation of the clearing energies of Selenite. An incredible pendant made with the foundation of the clearing energies of Selenite. 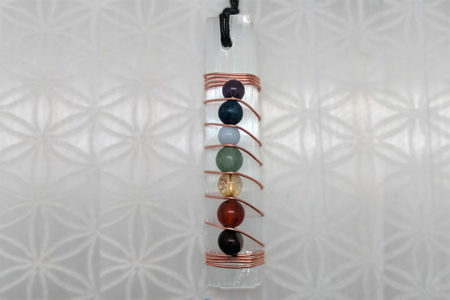 The Chakra stones, Red Jasper, Carnelian, Citrine, Green Aventurine, Blue Lace Agate, Lapis, and Amethyst, are wrapped to the Selenite wand with copper wire to act as a conduit for the energy to flow through the chakra stones. 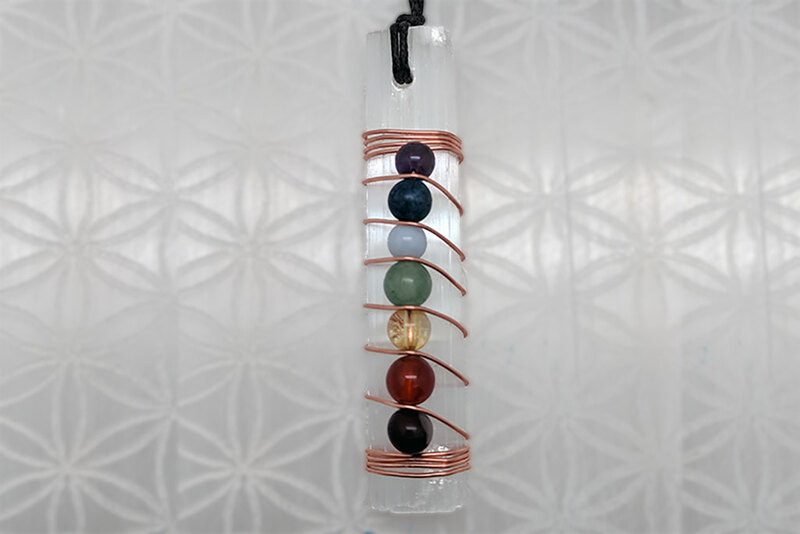 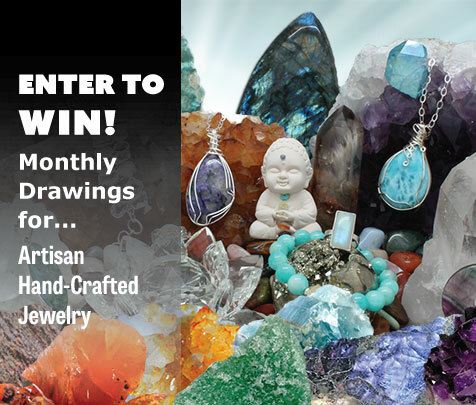 This pendant mimics some of the energies of the Kundalini and its effects on the Chakras. 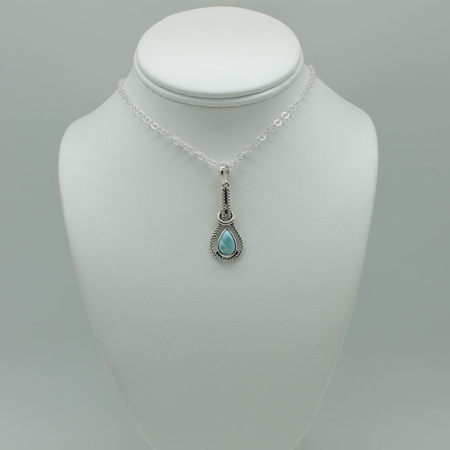 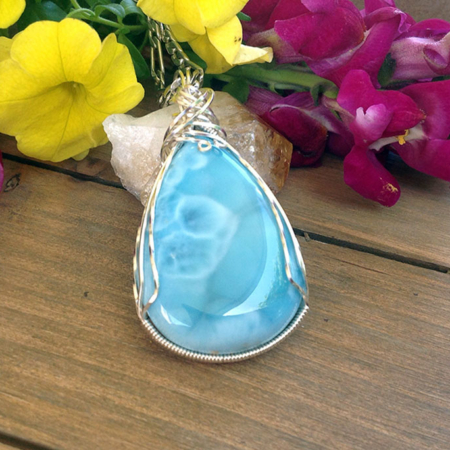 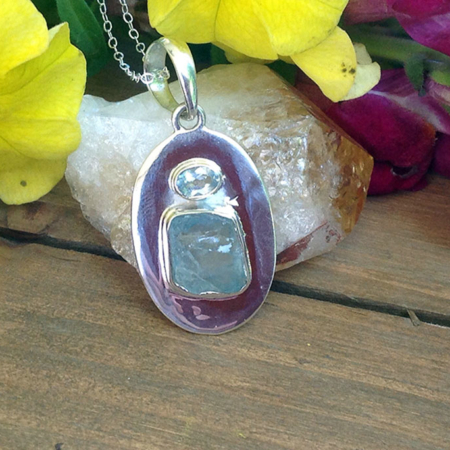 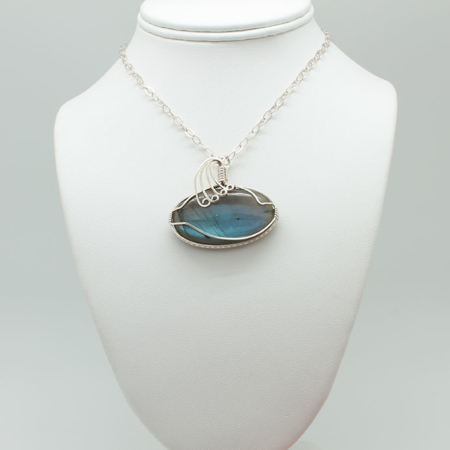 This pendant measures approximately 2.6 inches long and 1/2 inch wide.